If you share the page in which you make an entire journal visible with the public, your journal receives an RSS feed to which your readers can subscribe in their favorite RSS readers. Block title: The title of the journal post is chosen automatically unless you provide a different one. Journal entry: Select the journal entry you wish to display. If you have many posts, you can also search for the one you want to use. You always also see the title of the journal in which the entry appears. 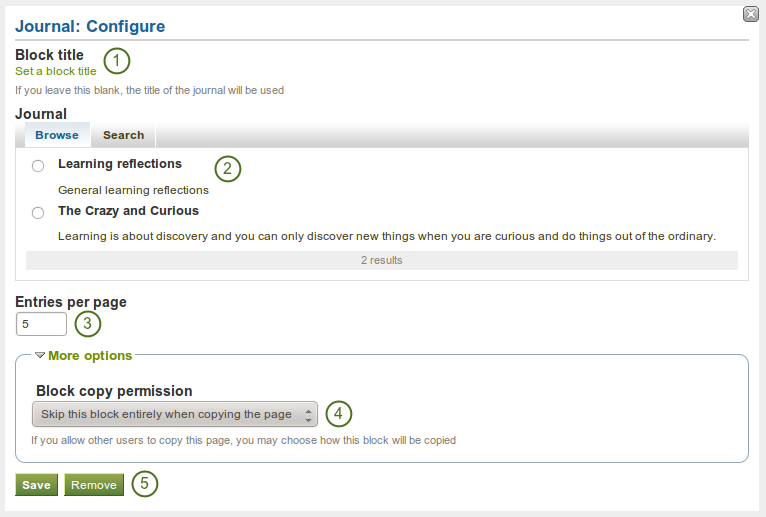 Journals: Select the journal(s) from which you wish to display the latest posts. If you have many journals, you can also search for the one(s) you want to use. 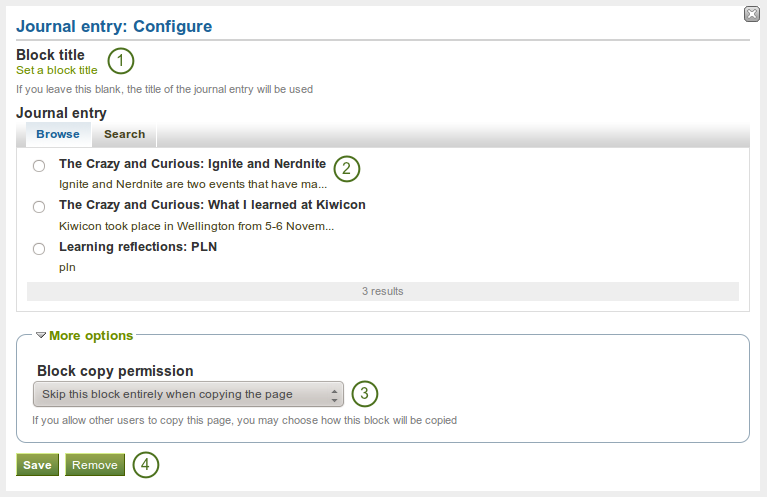 My tags: Select the tag for which you want to display all journal entries. The entries will appear as link list.